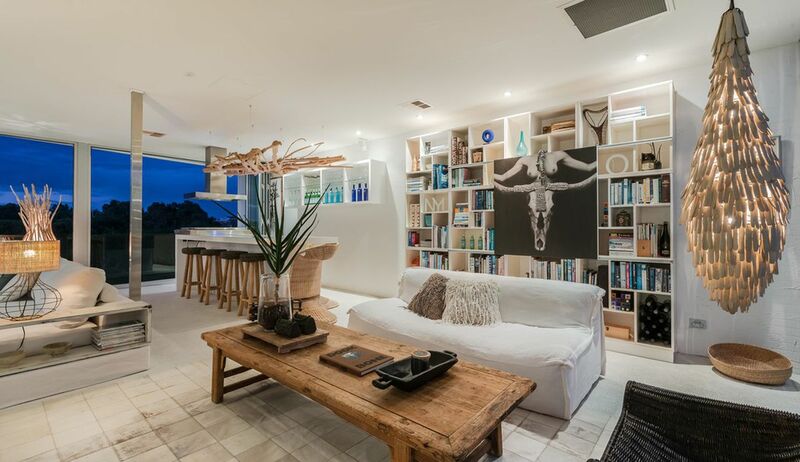 Inspirational in design & exquisitely refined, this bespoke 4 bedroom 3 bathroom residence steps to the beach will awaken your senses. 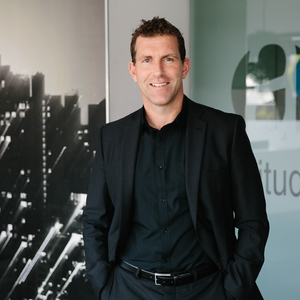 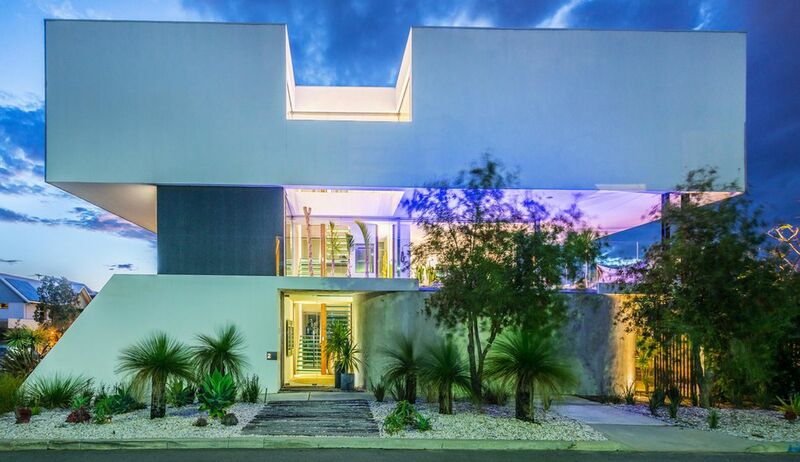 The brief to the multi award winning architect Blane Brackenridge was clear. 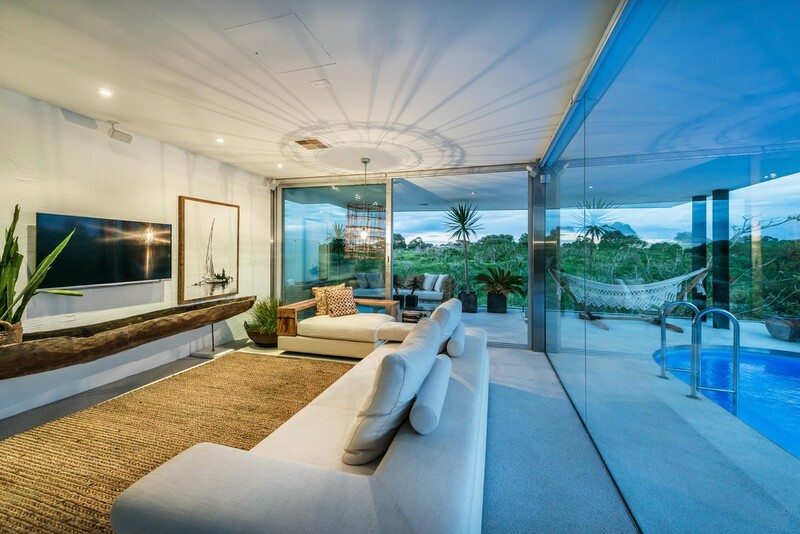 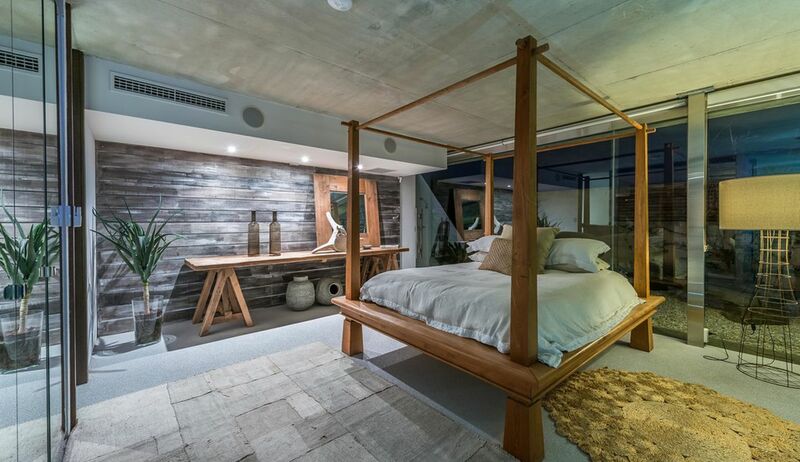 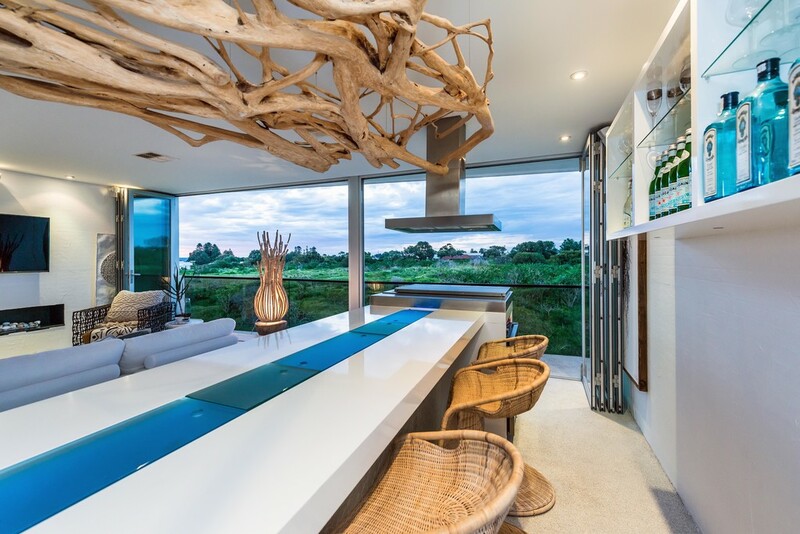 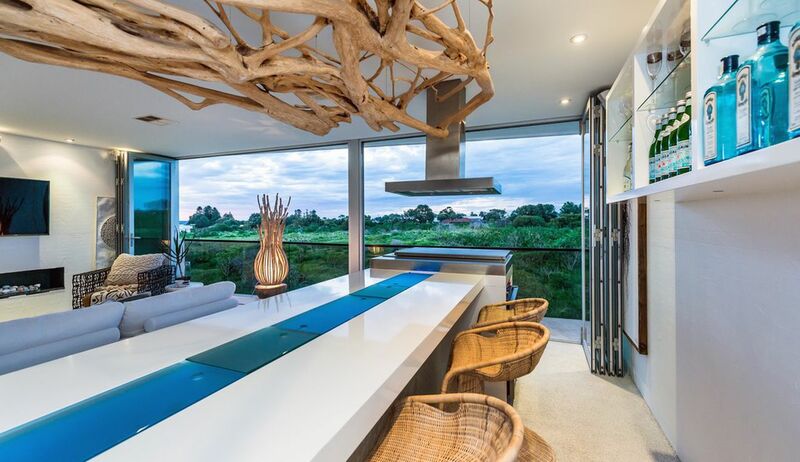 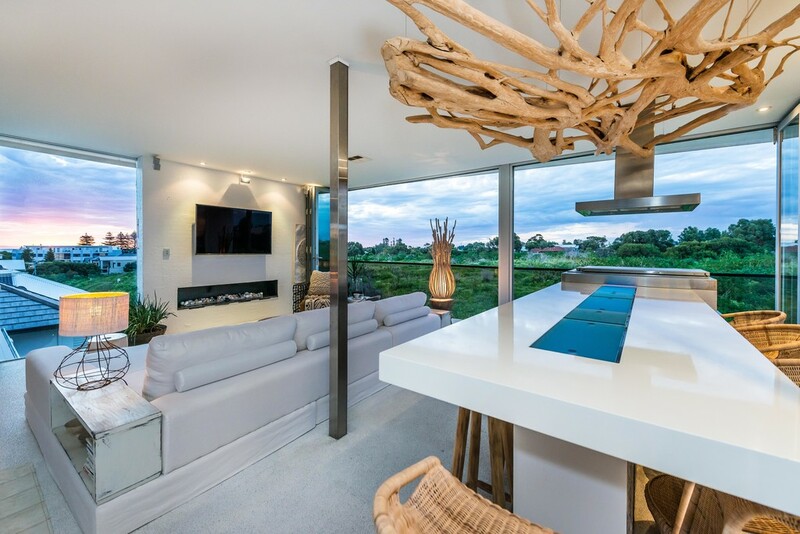 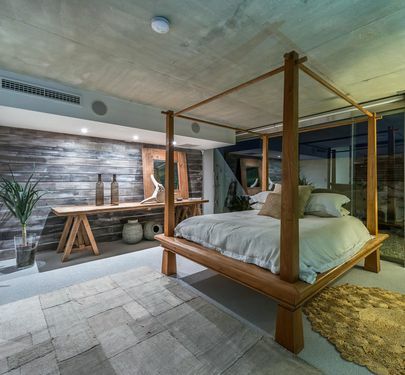 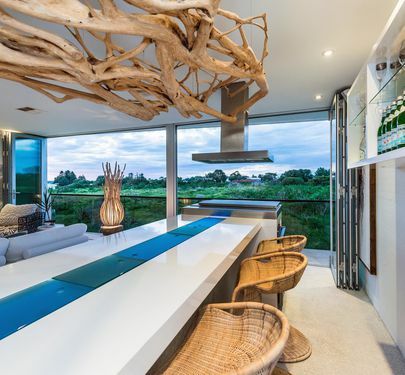 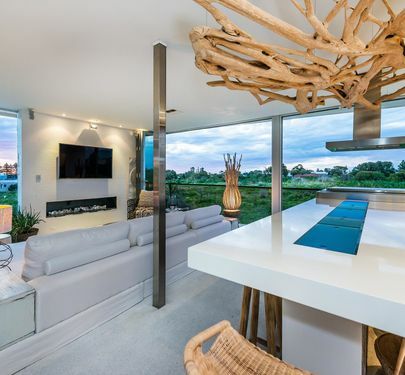 To create a space that captures the essence of sublime coastal living in a design that delivers an effortless lifestyle in an amazingly functional family home. 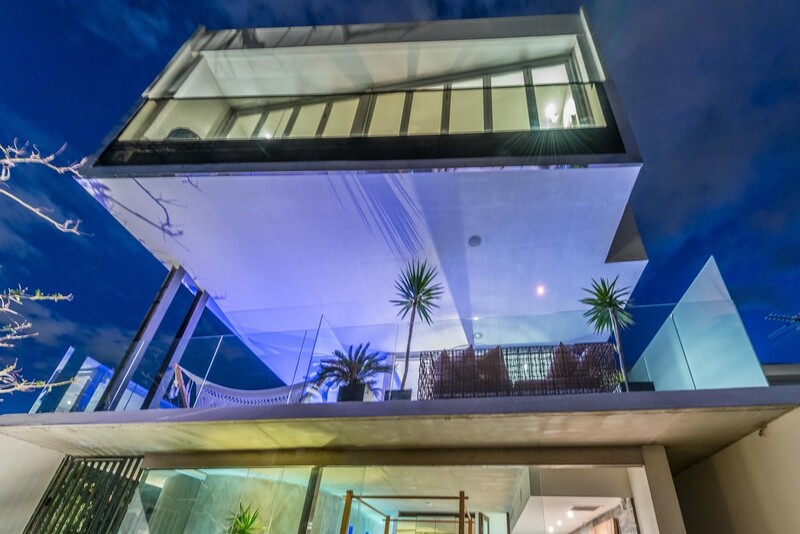 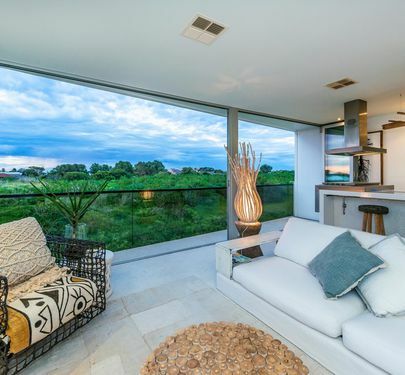 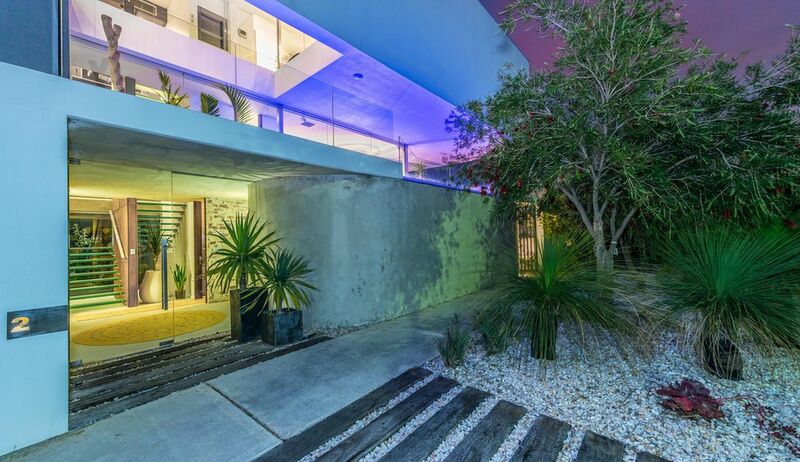 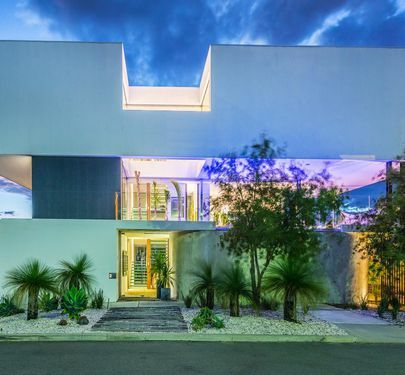 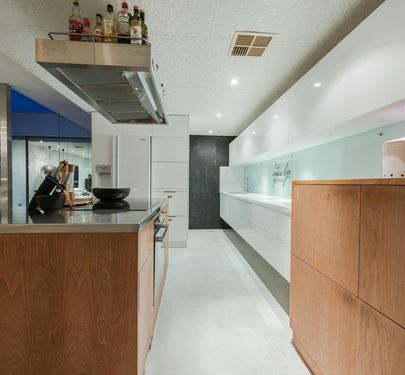 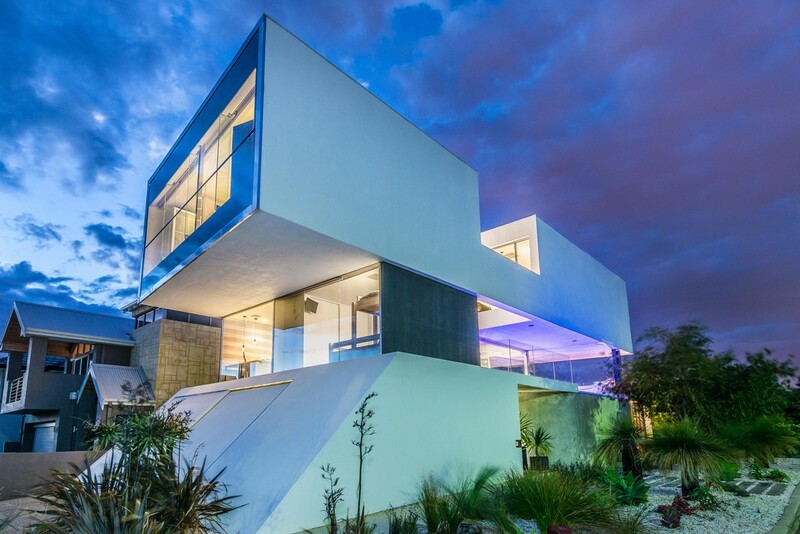 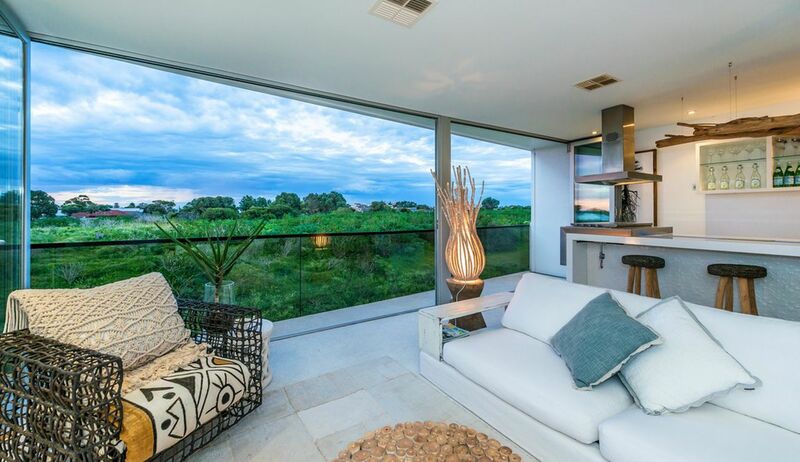 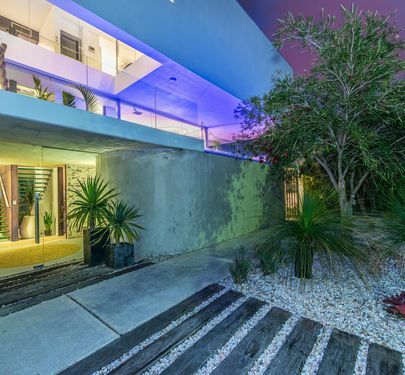 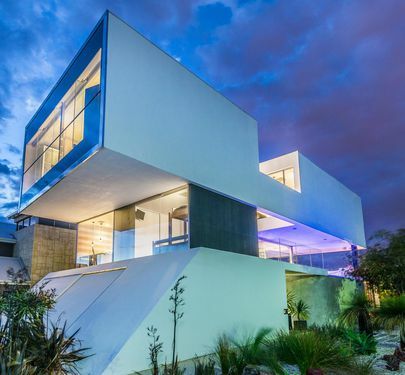 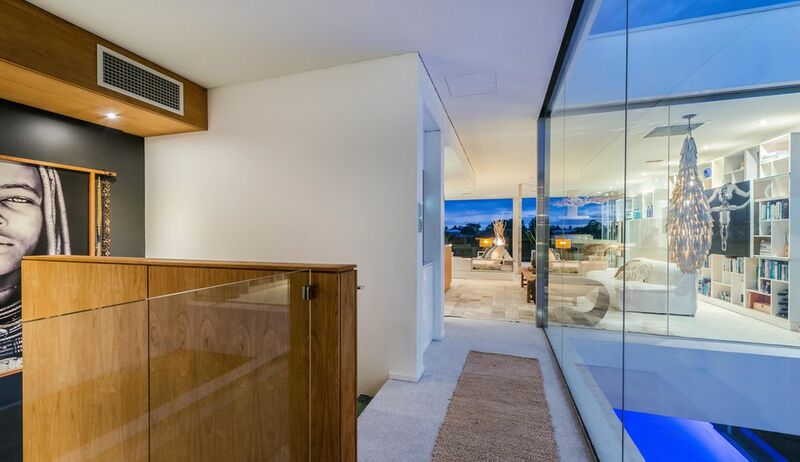 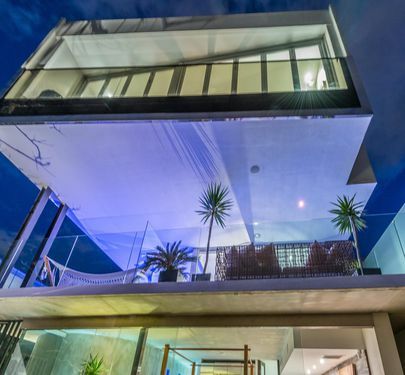 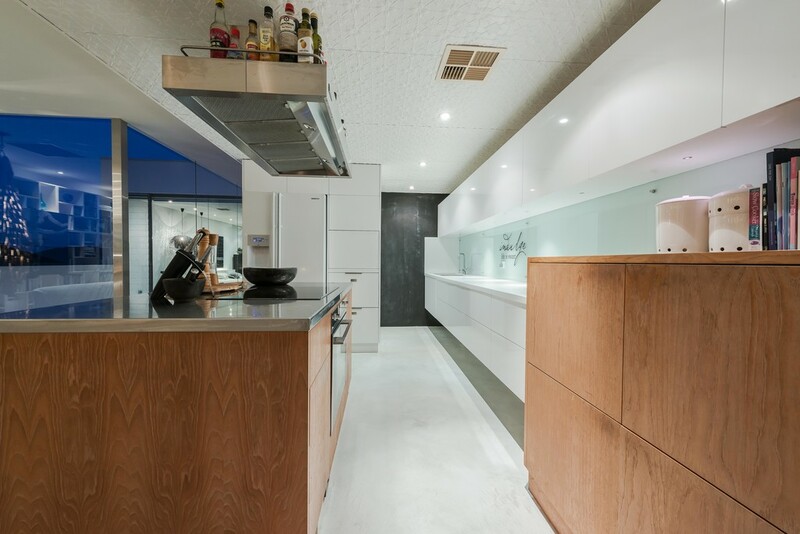 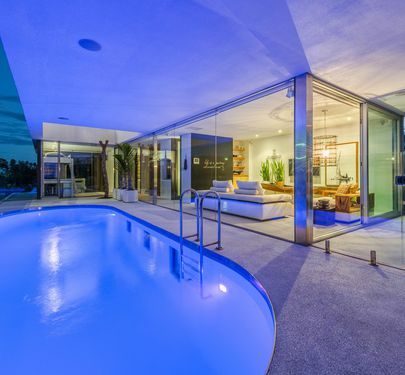 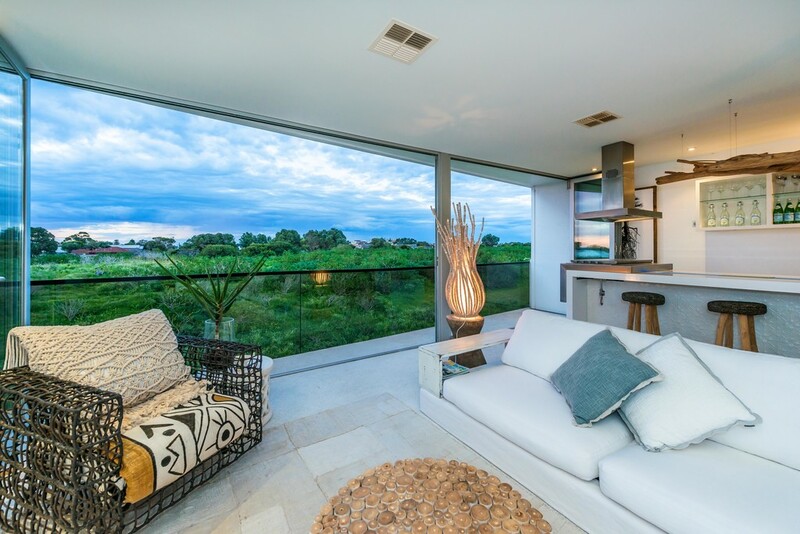 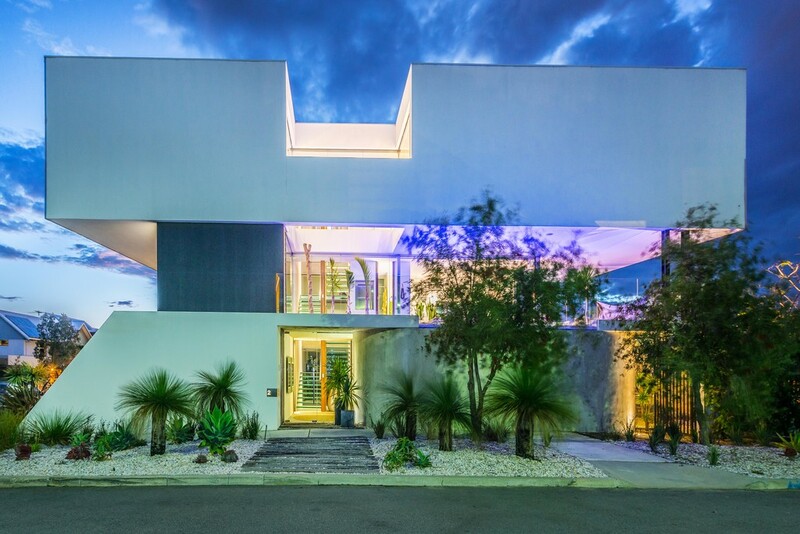 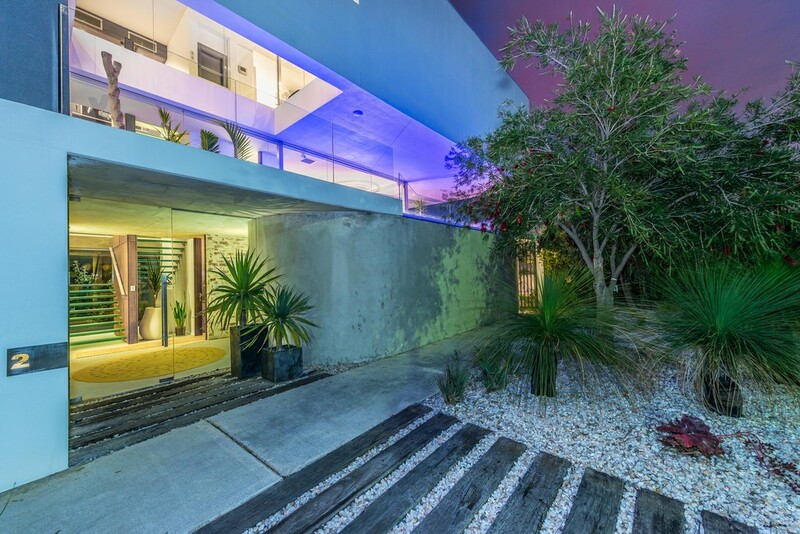 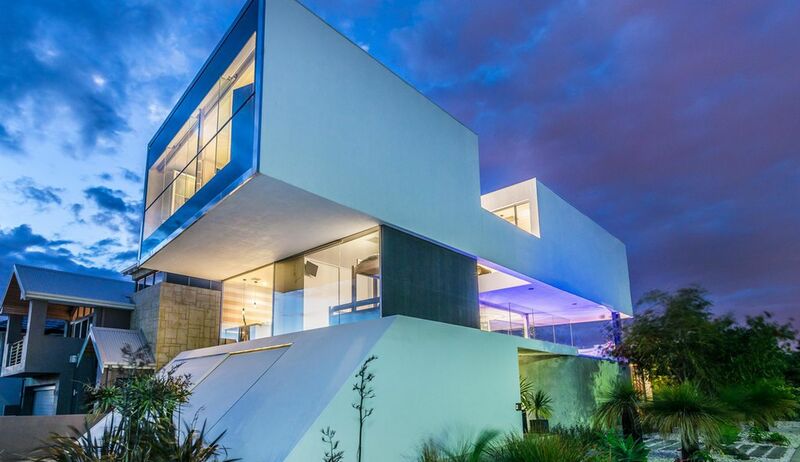 Outside of the sharp clean lines of the modernist exterior, what's most apparent is the fantastic use of space & light as you meander through this decadent tri level residence. 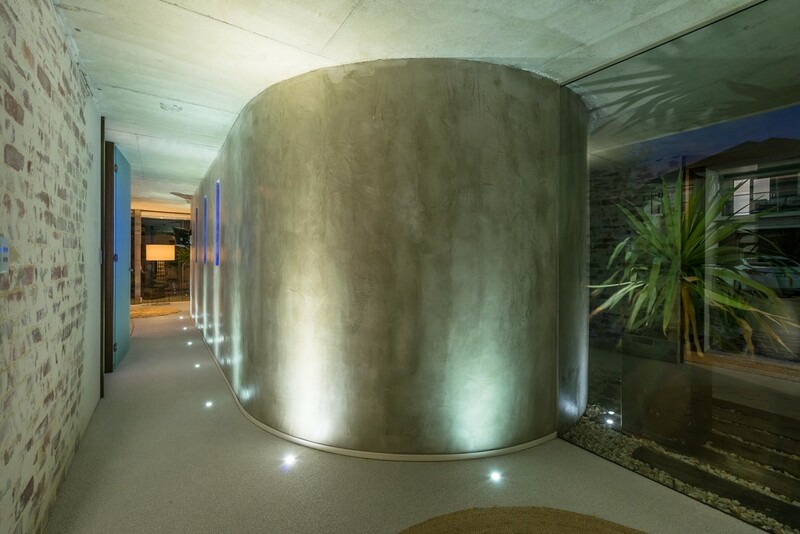 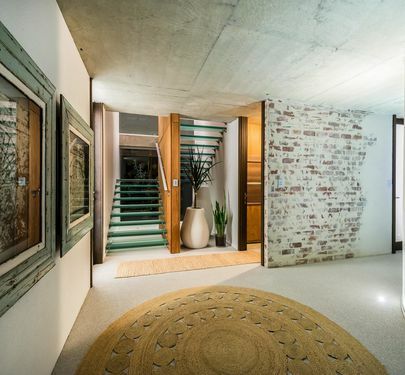 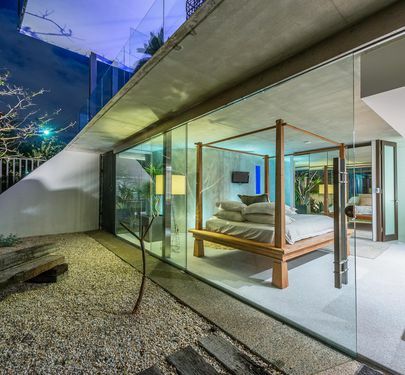 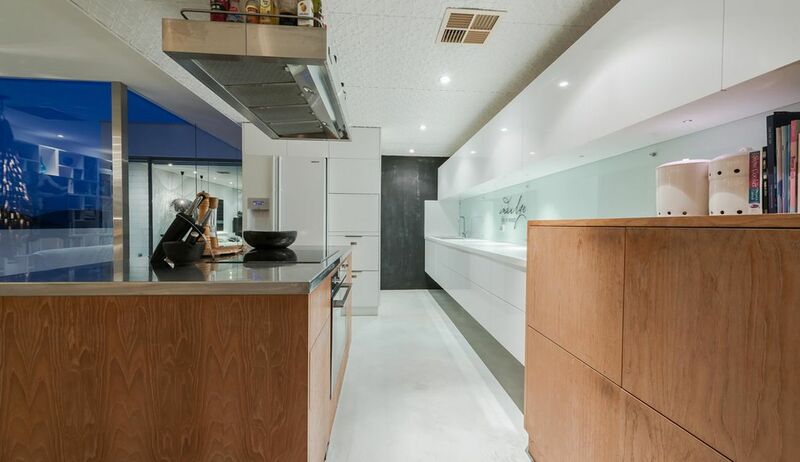 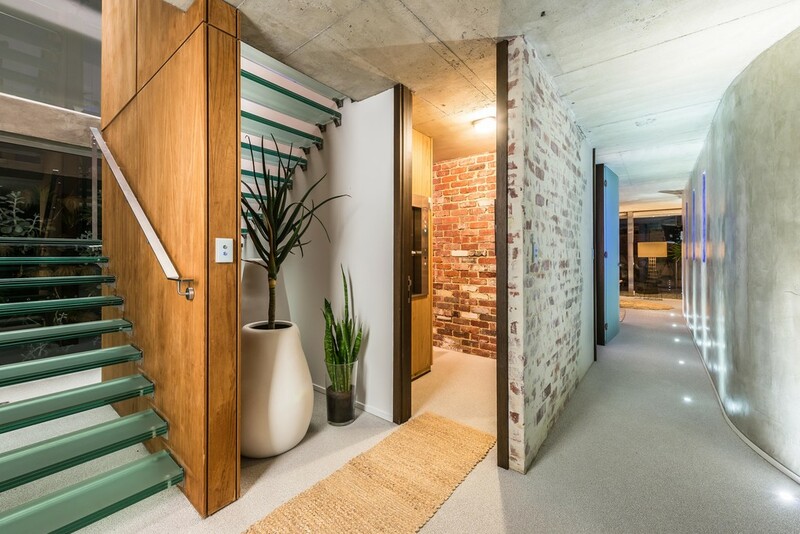 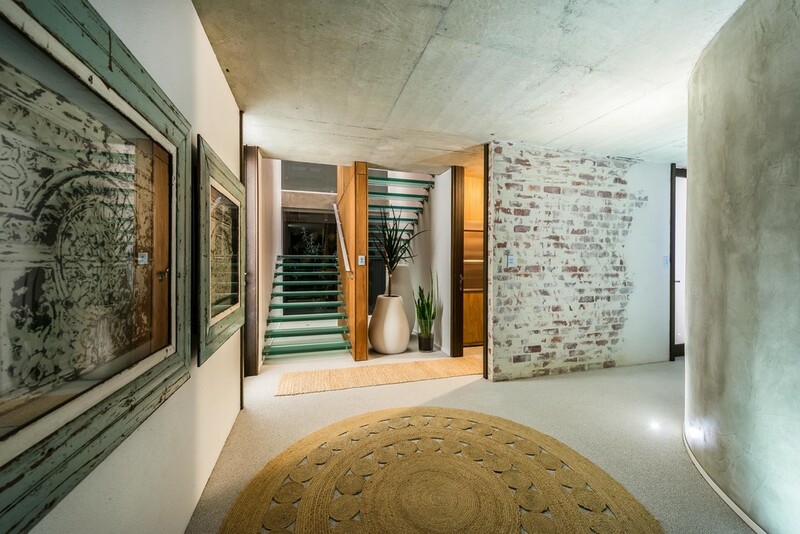 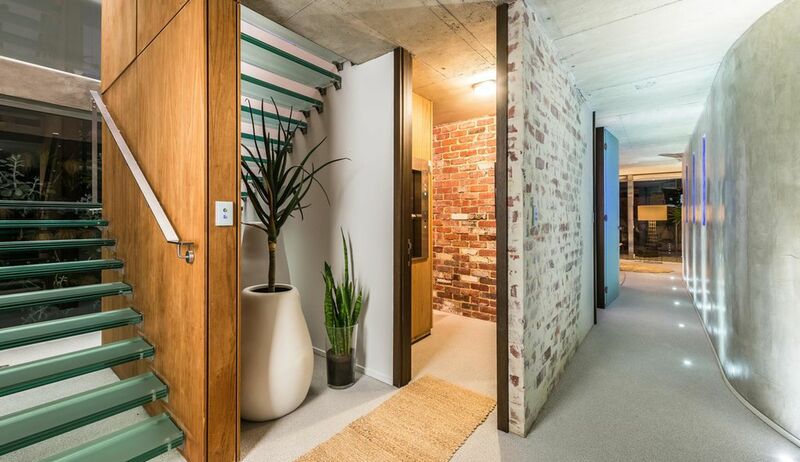 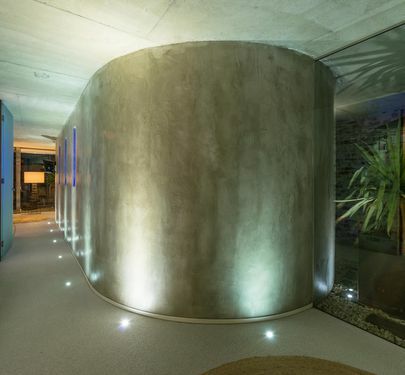 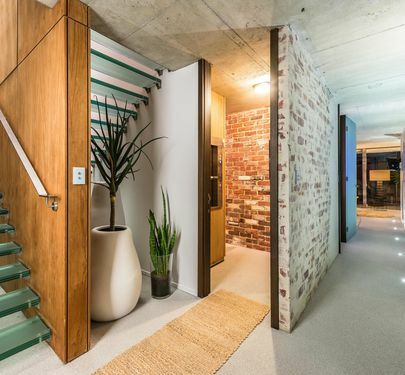 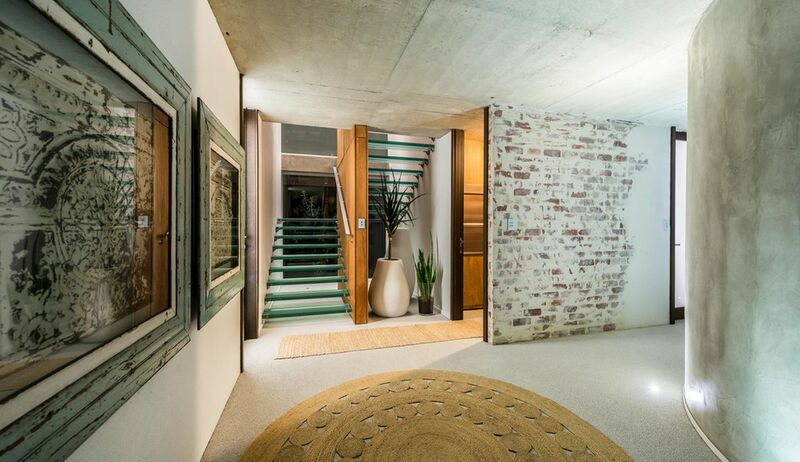 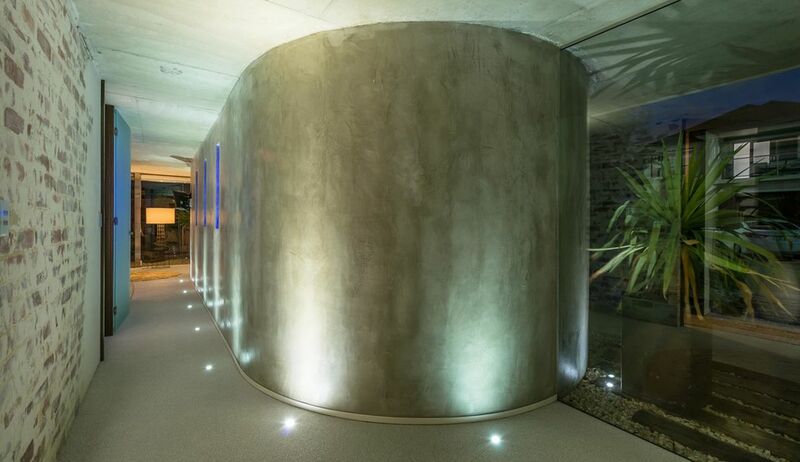 The polished concrete walls, exposed brick & double glass door entrance is more akin to walking into a boutique hotel in the Meatpacking district of New York City. 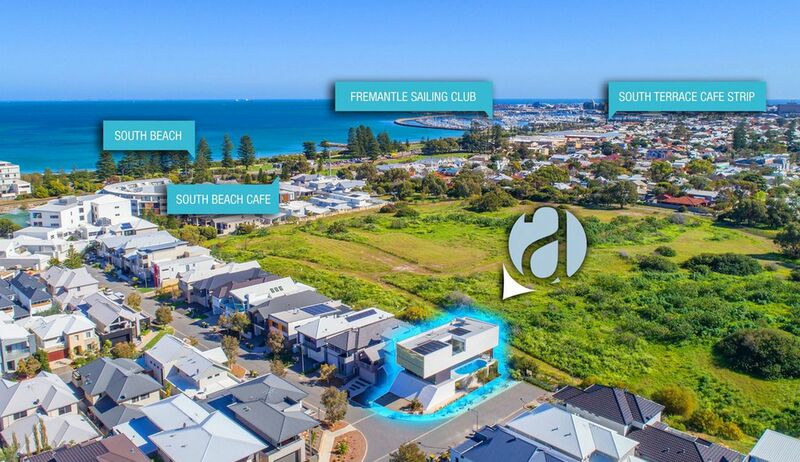 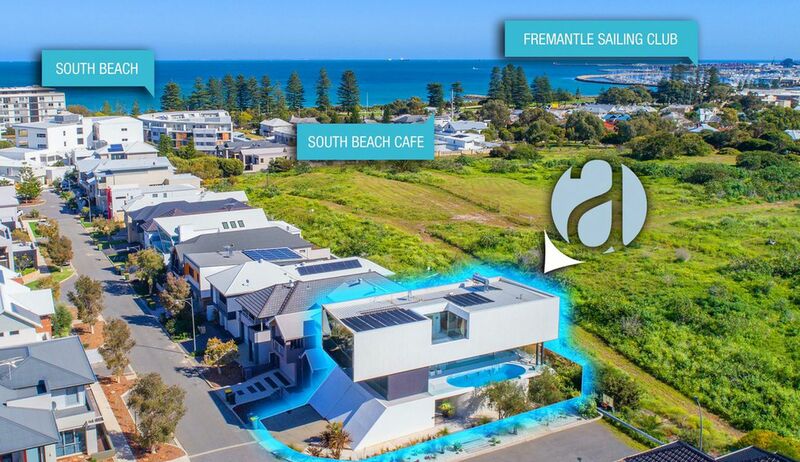 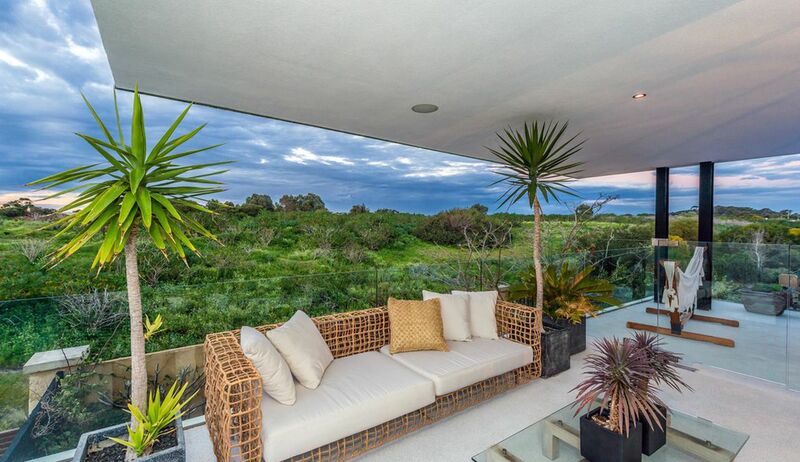 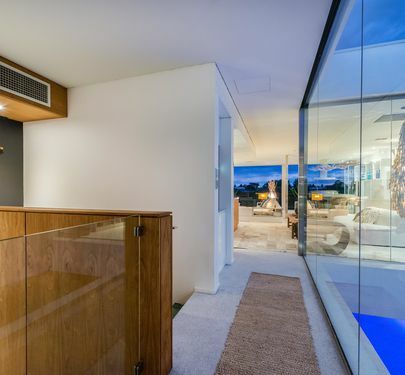 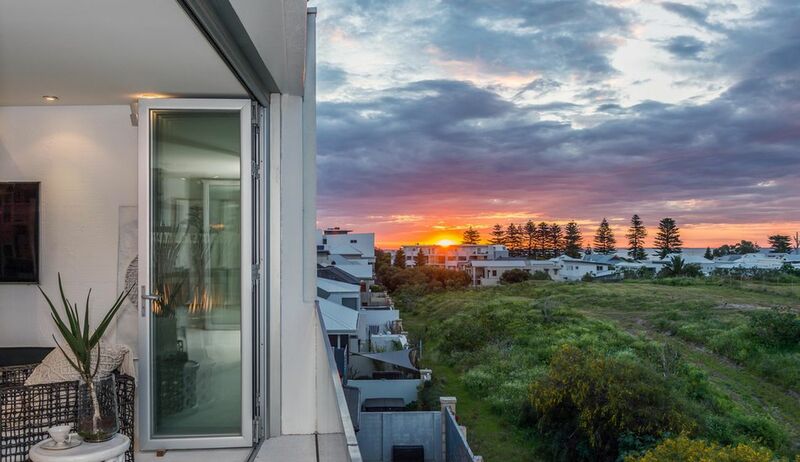 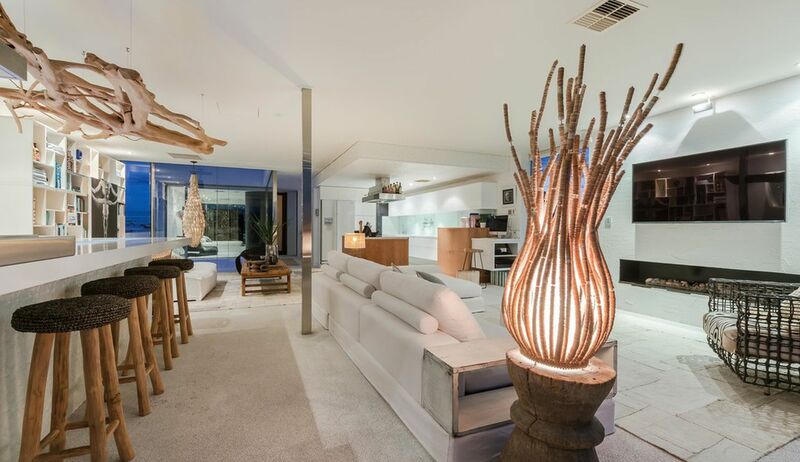 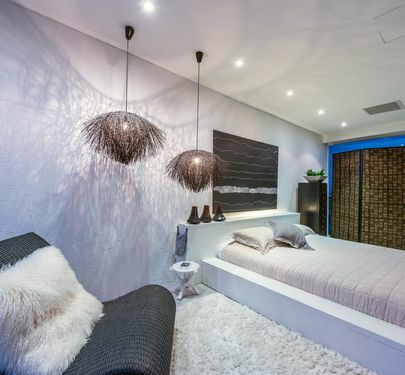 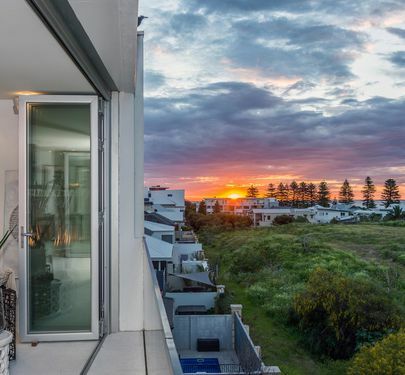 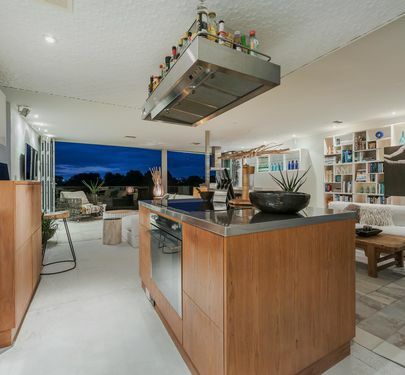 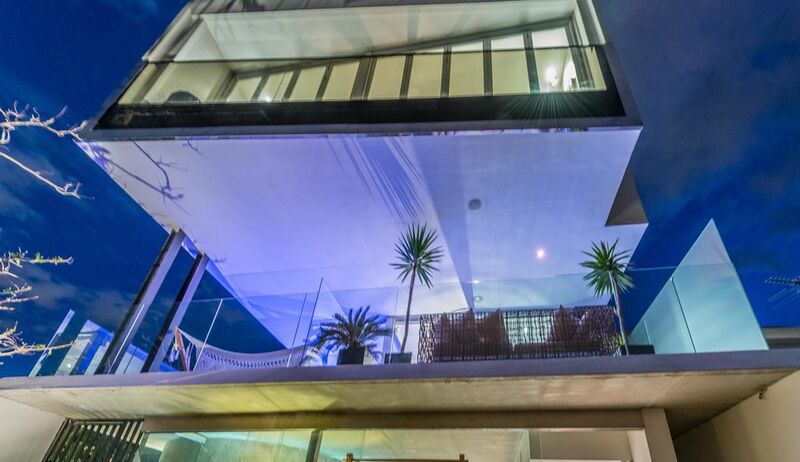 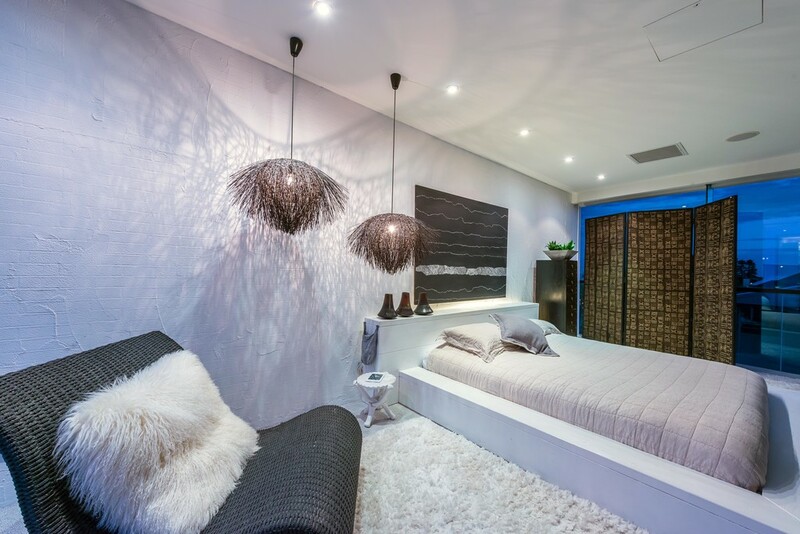 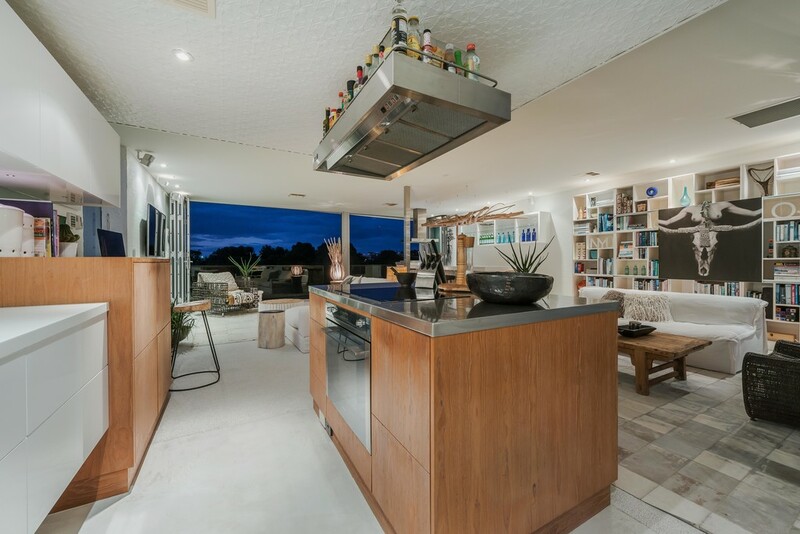 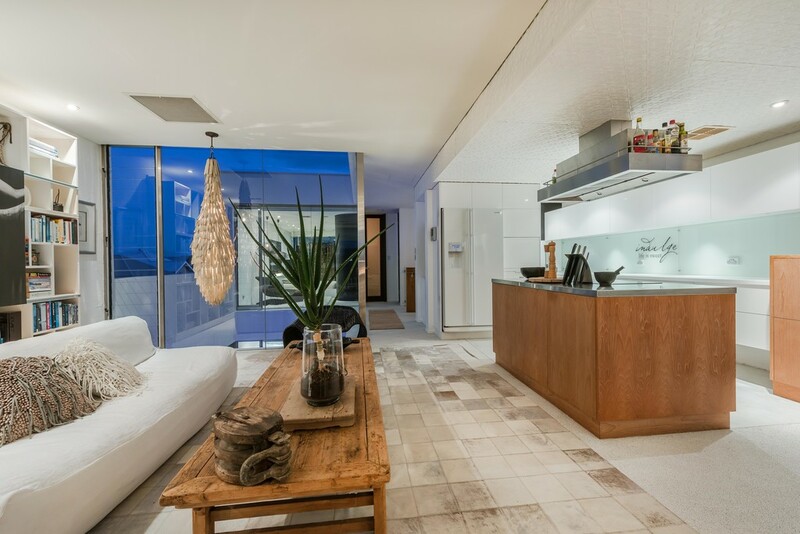 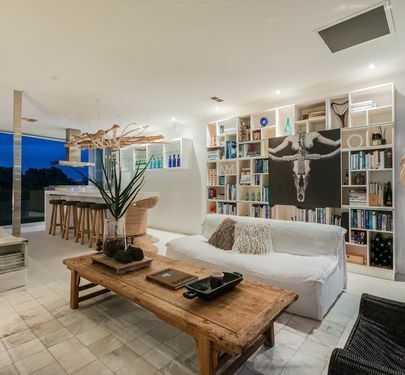 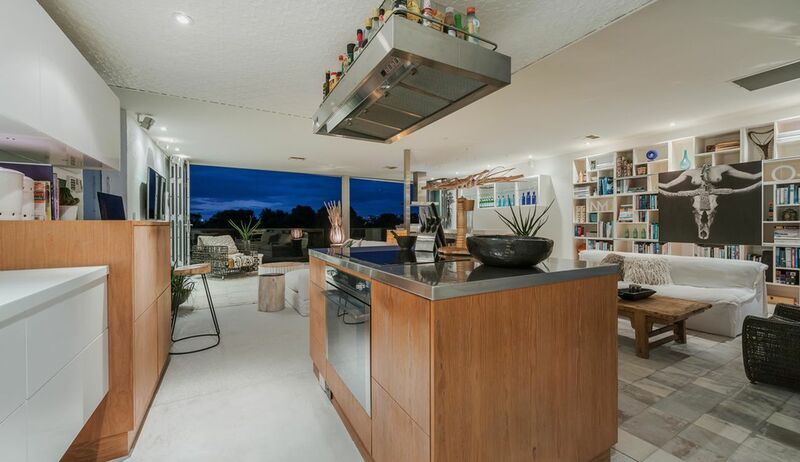 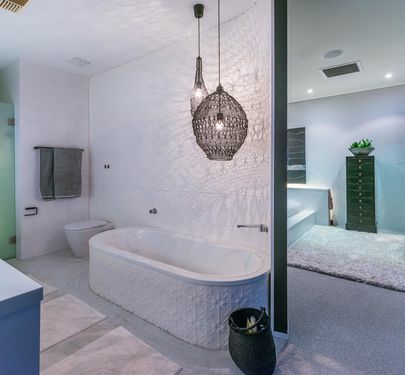 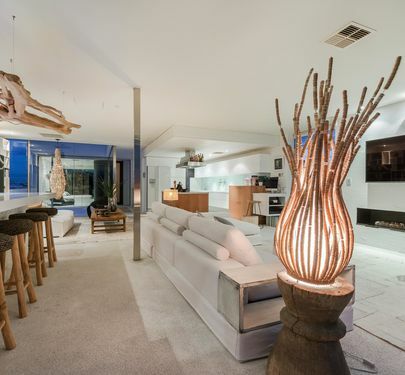 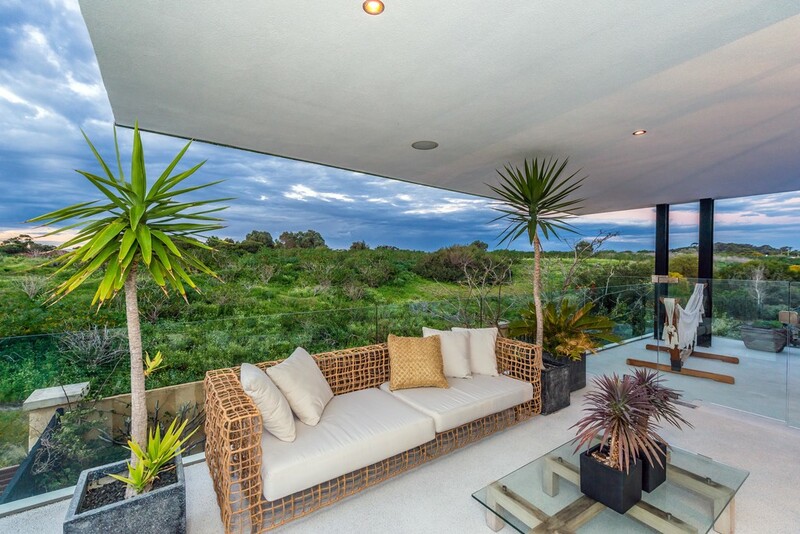 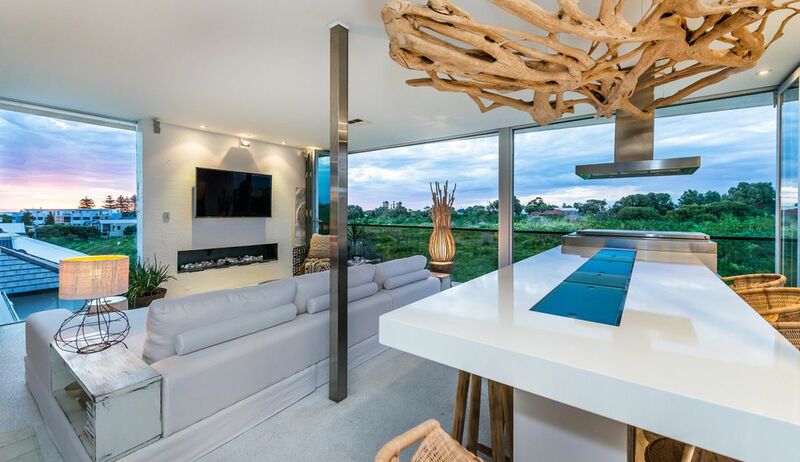 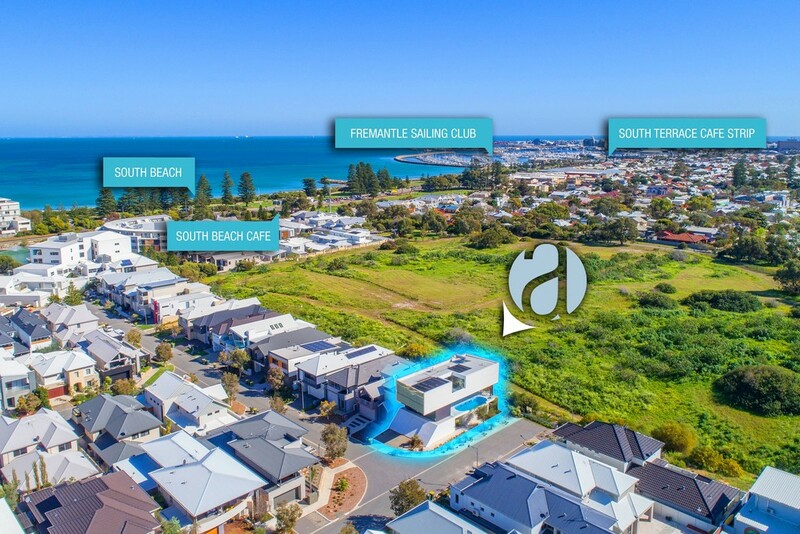 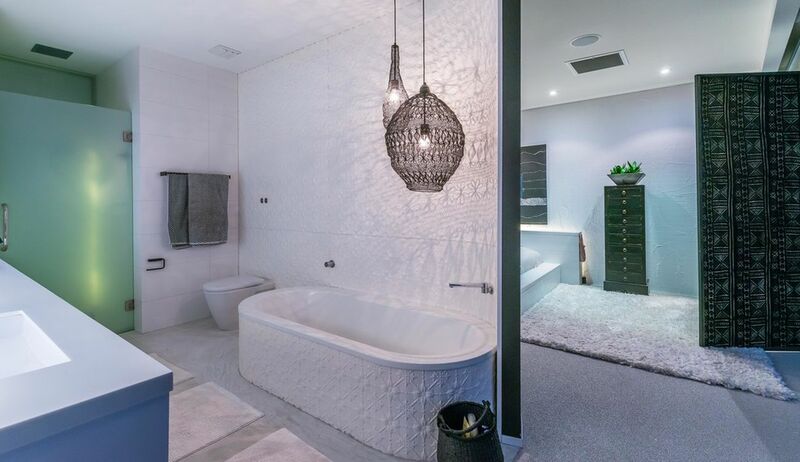 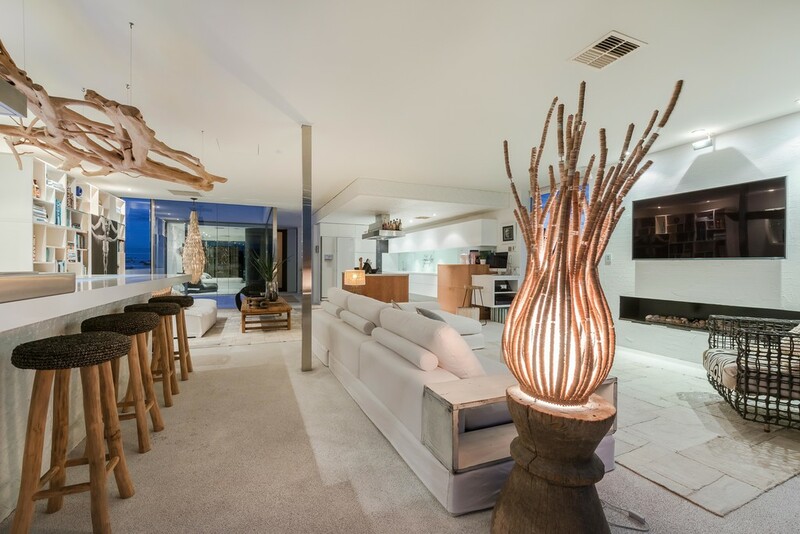 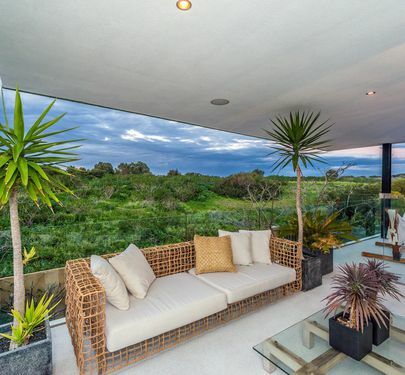 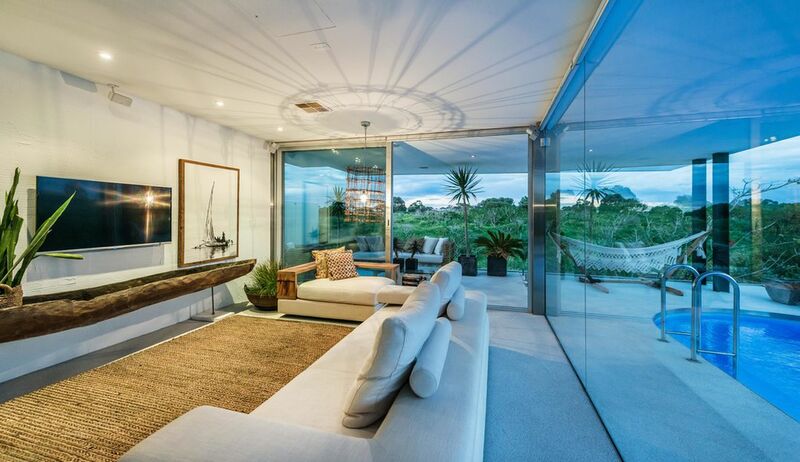 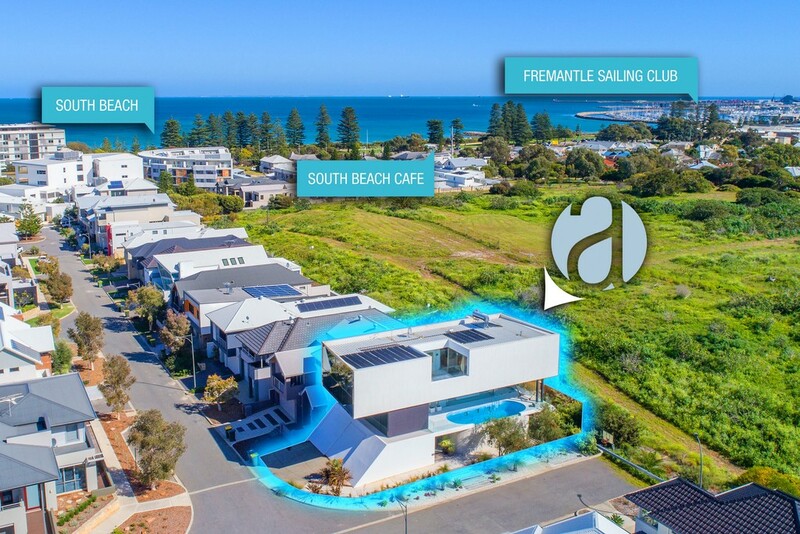 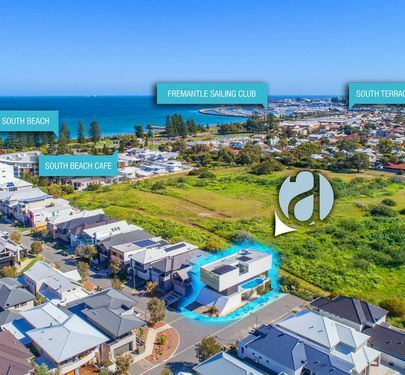 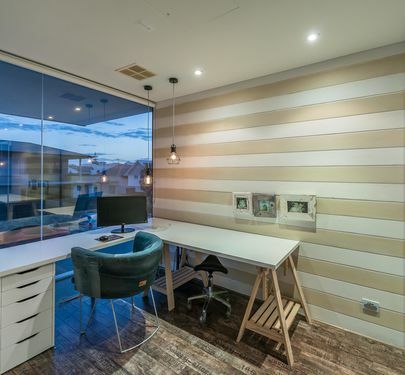 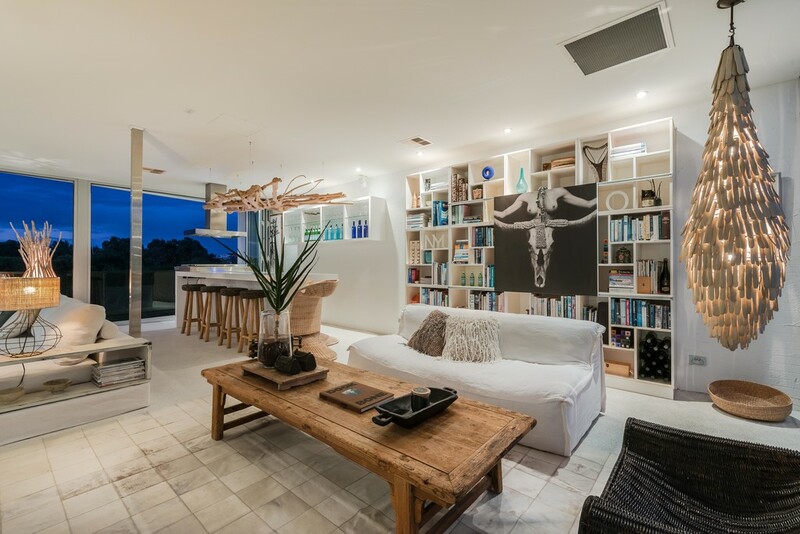 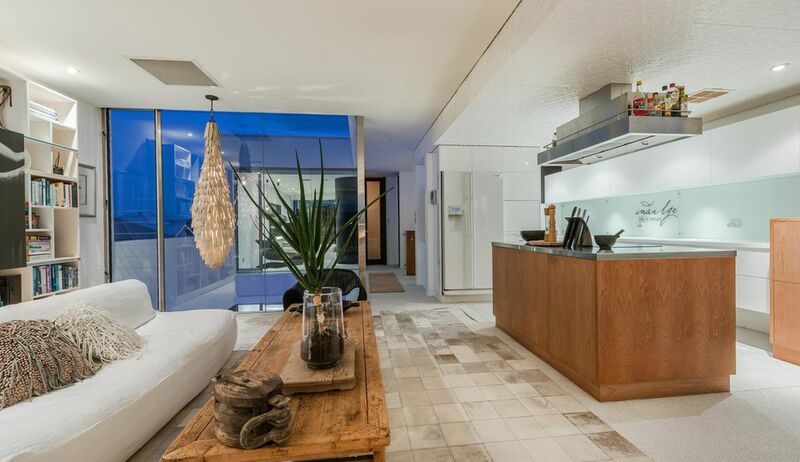 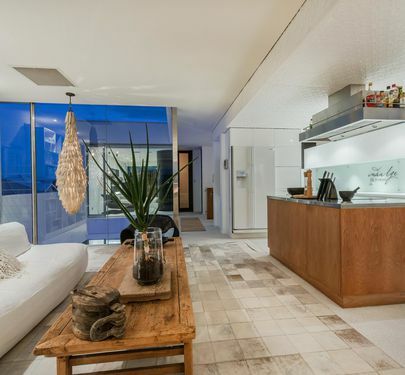 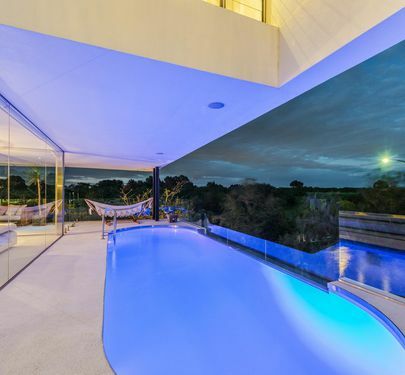 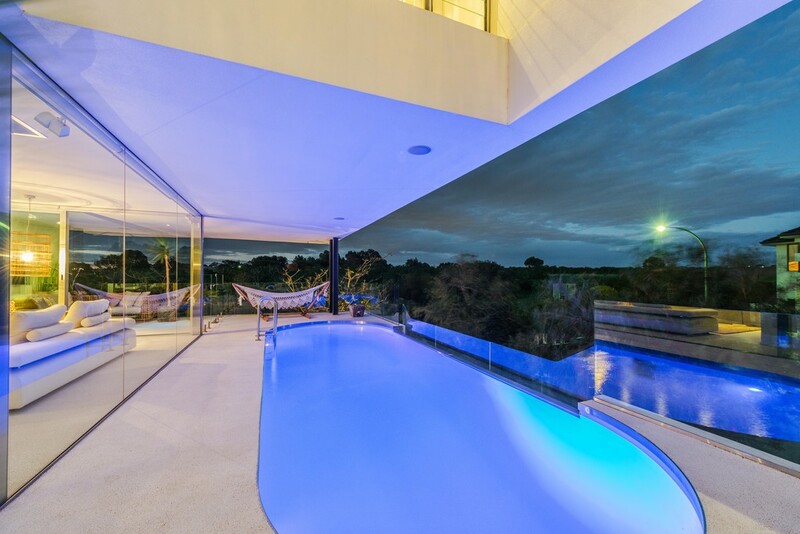 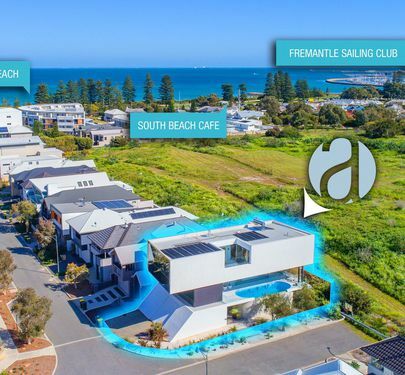 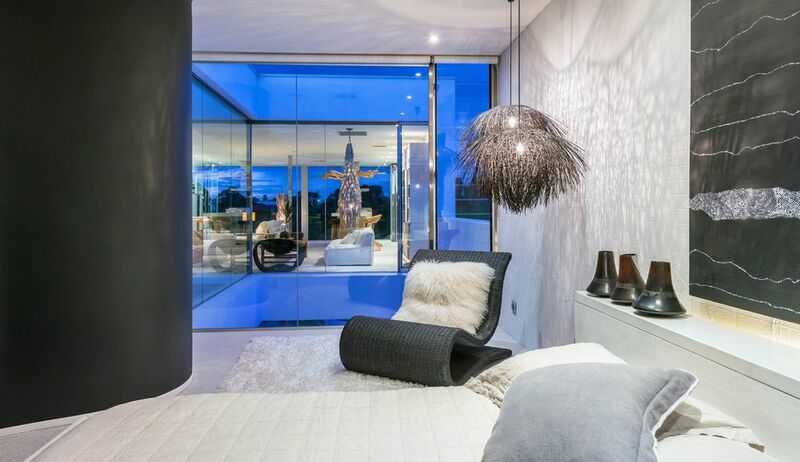 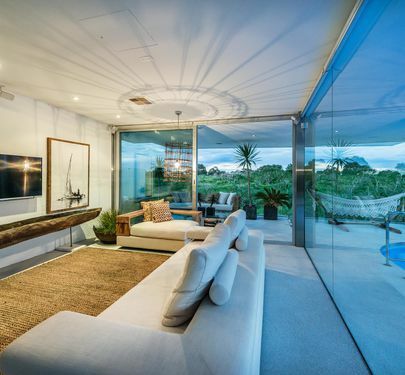 The eclectic combination of textures, design features & an attention to detail rarely found in homes today, will attract buyers seeking a bespoke residence of international standards & one which is truly one of Perth's finest beach-side homes on the market. 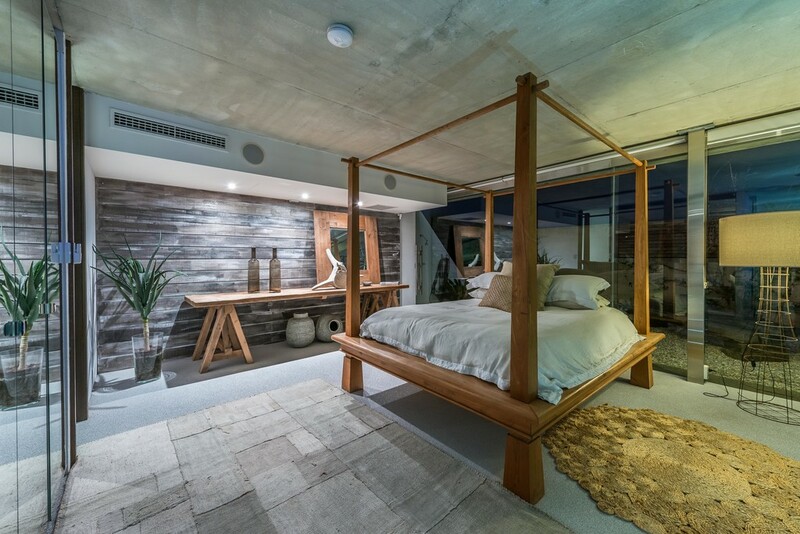 The guest suite on the ground floor is accented by fantastic distressed timber finishes, soft floor lighting & fully fitted mirrored robes. 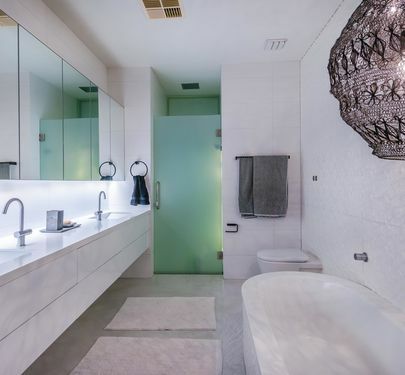 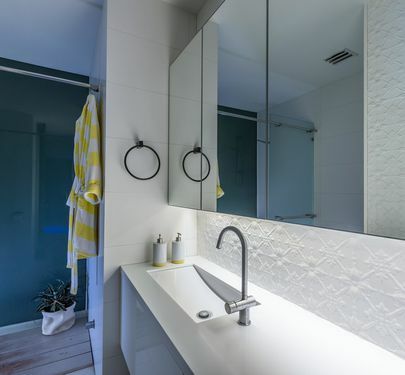 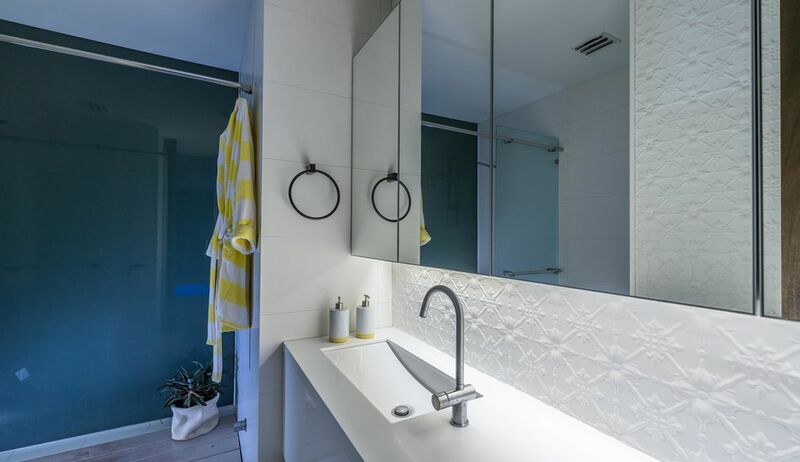 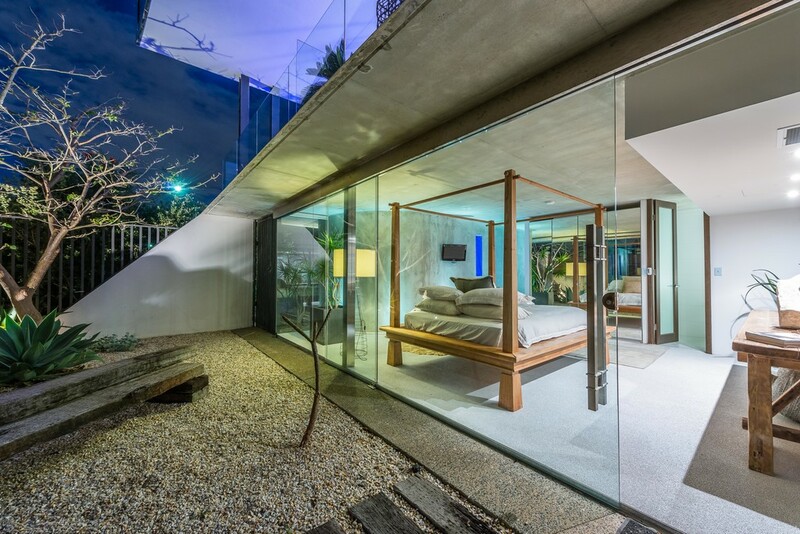 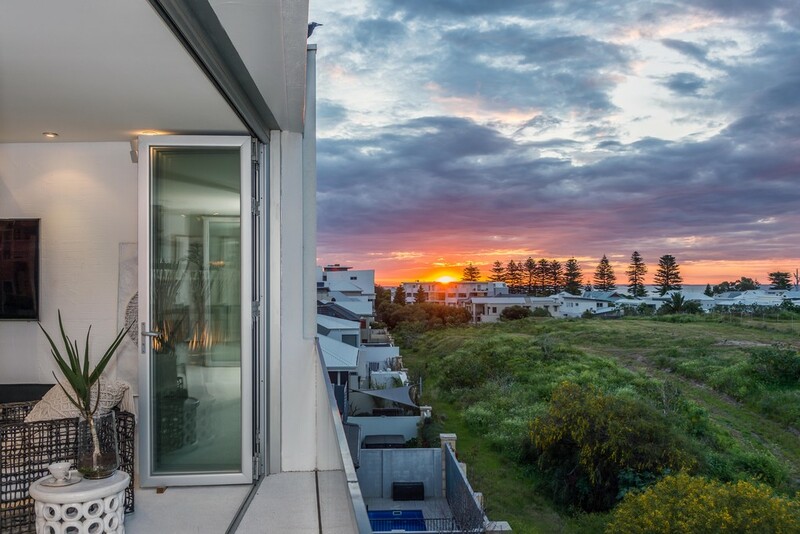 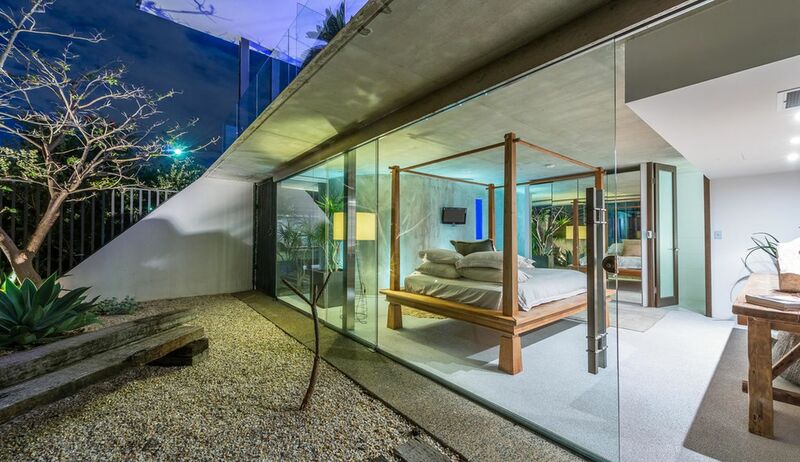 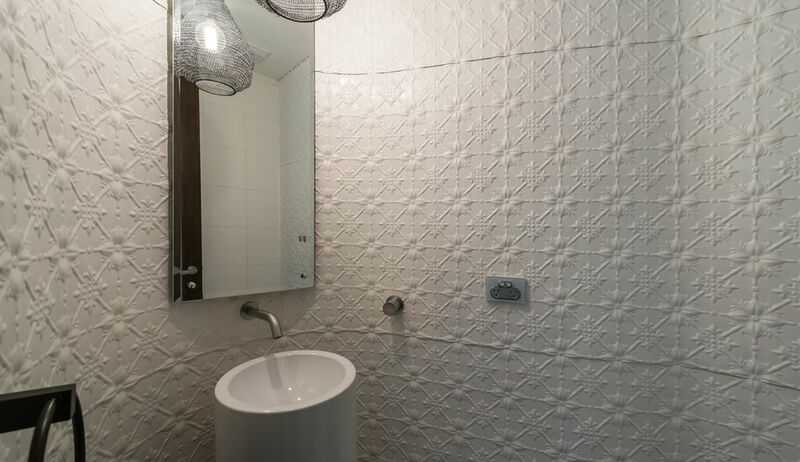 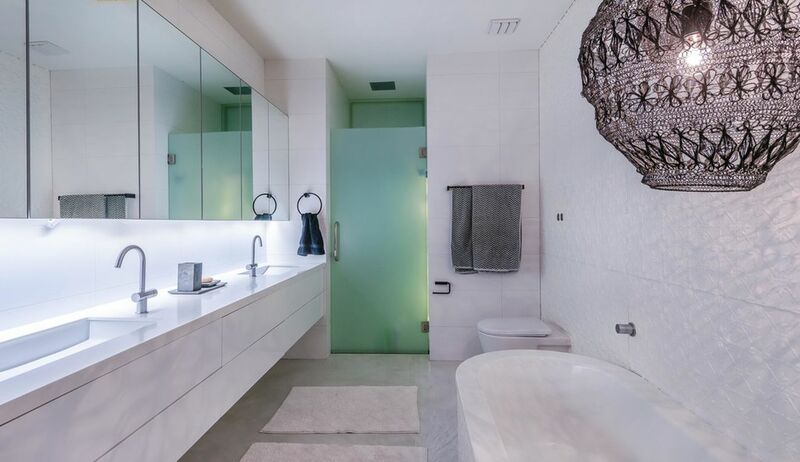 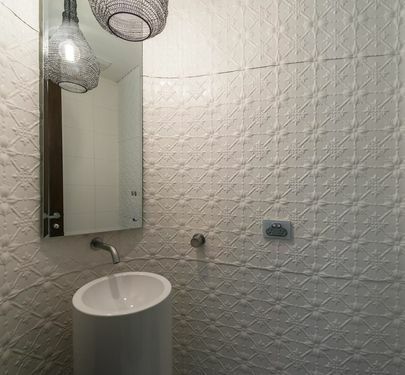 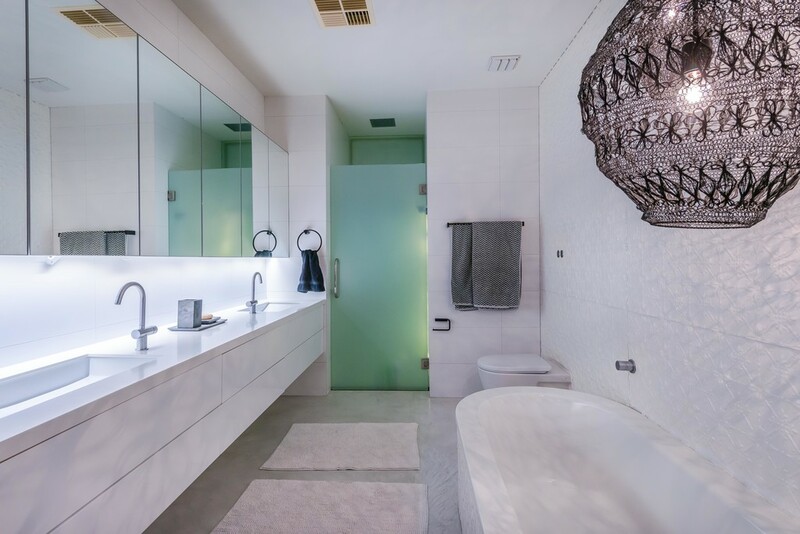 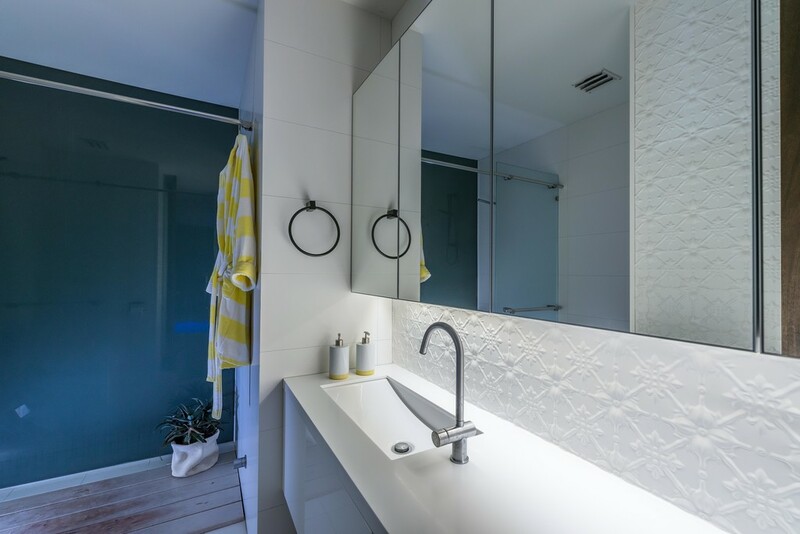 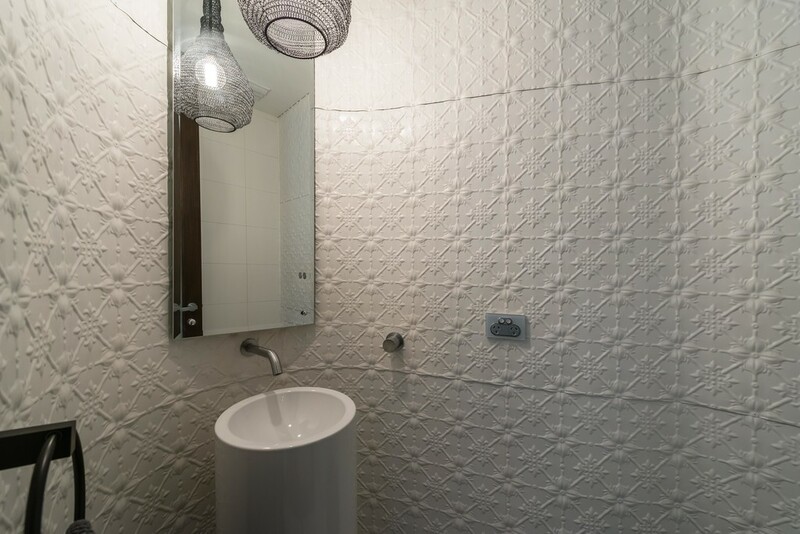 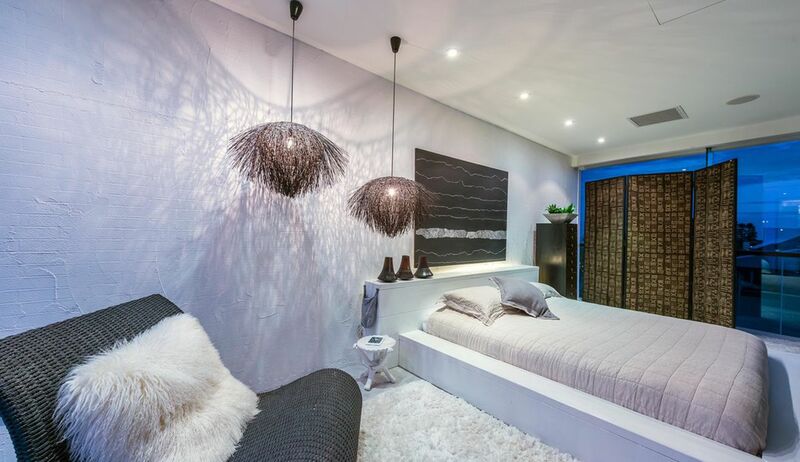 The ensuite is cleverly appointed with high grade European appliances & the full height north facing glass sliding door seamlessly opens onto a stylish landscaped garden area complete with hot & cold outdoor shower. 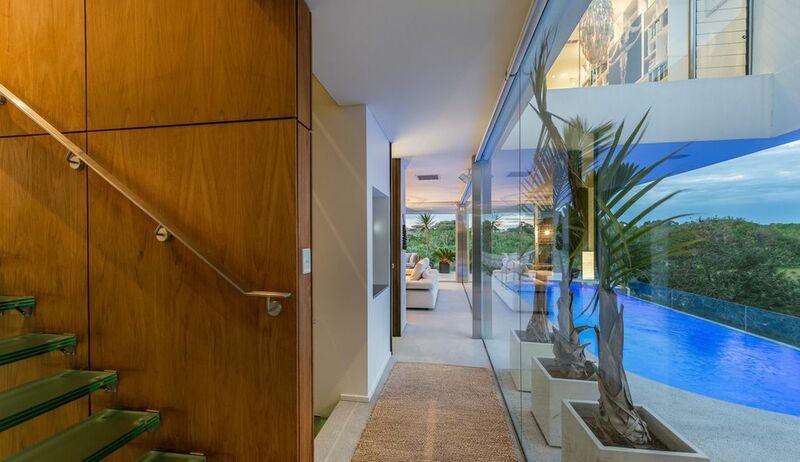 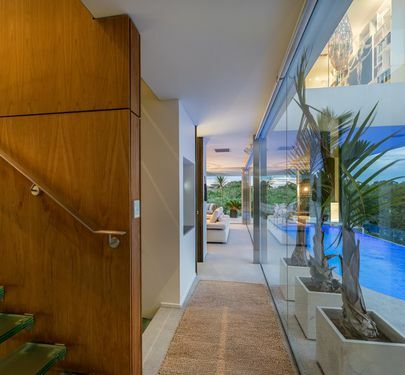 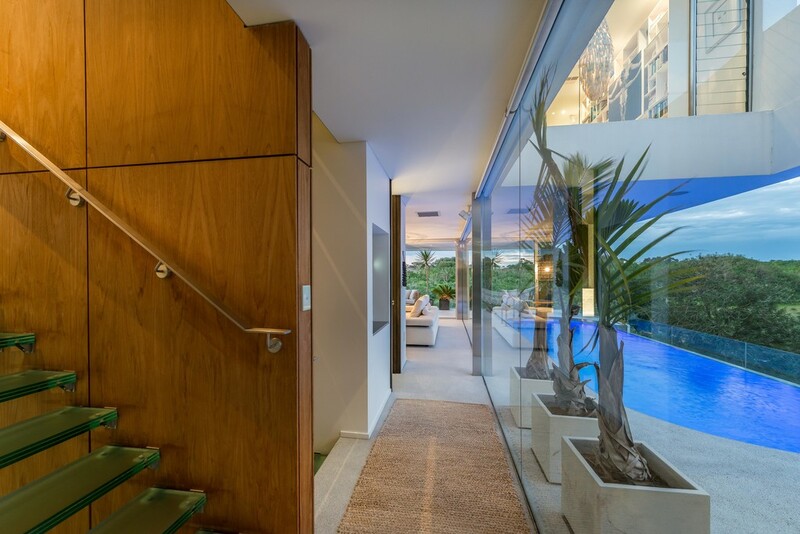 As you make your way up the reinforced frosted glass stairs accented by warm teak finished centre wall, what's most apparent is the avalanche of natural light throughout. 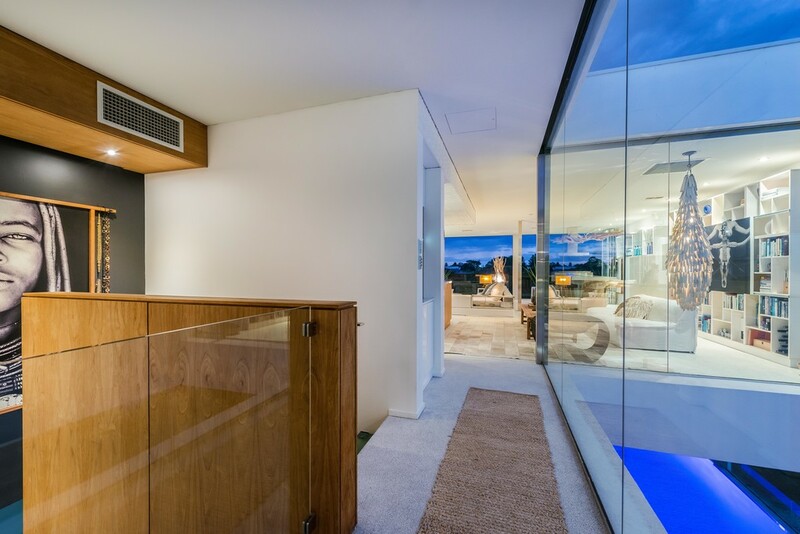 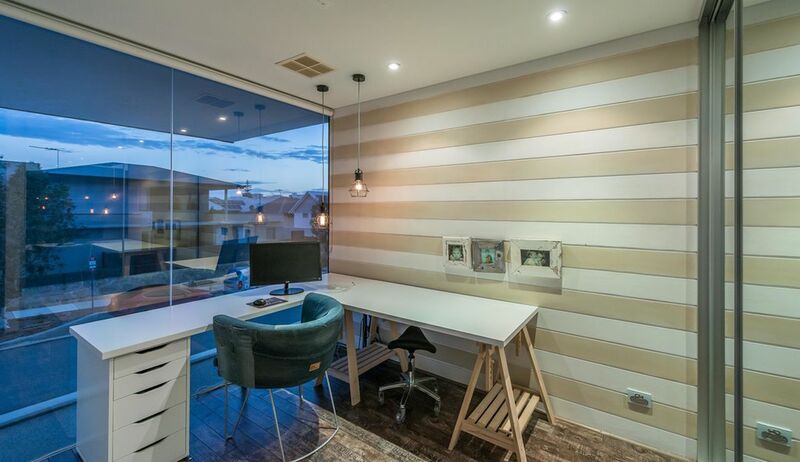 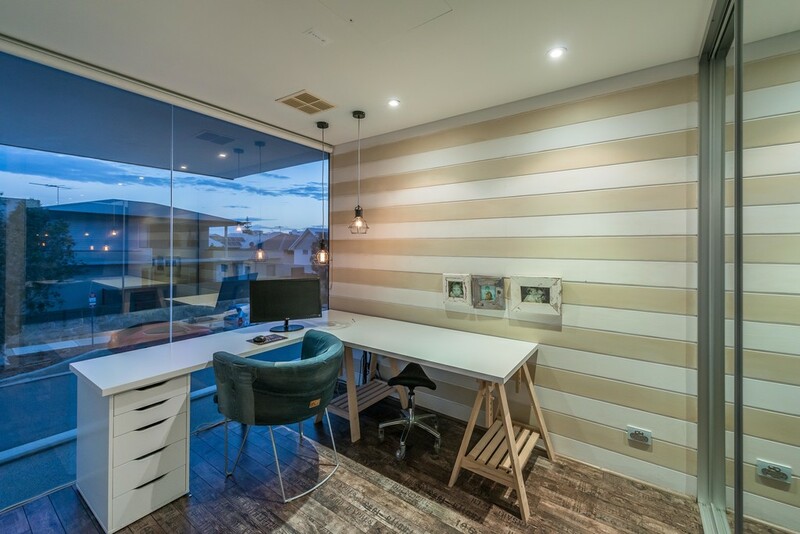 The extensive north facing glass windows & full height energy efficient exterior glass panelling means reduced demand on the grid & serves as a fantastic reminder of how the architect has managed to bring the outside in. 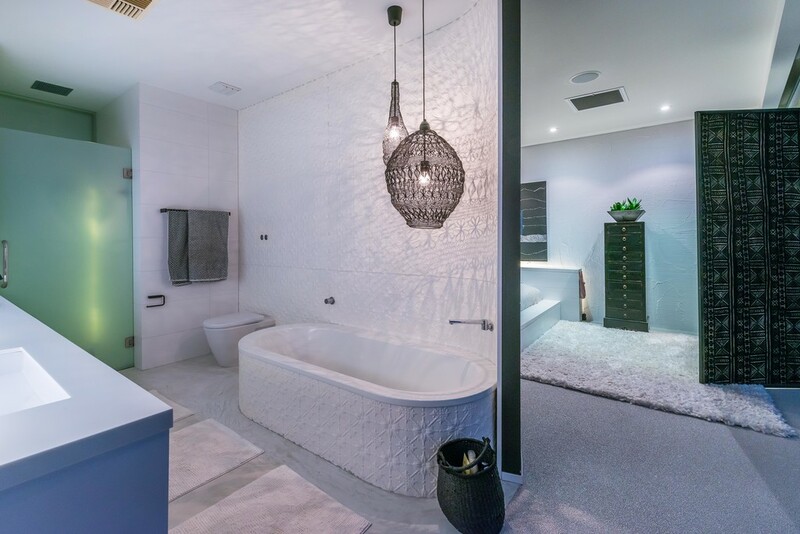 Both bedroom 2 & 3 on the first floor are well positioned away from the second family living area & are serviced by the family bathroom, again appointed in sleek Corian bench tops, pressed tin feature back splash, European tap ware & a highly intelligent shower that converts to a 'Roman' style bath when needed. 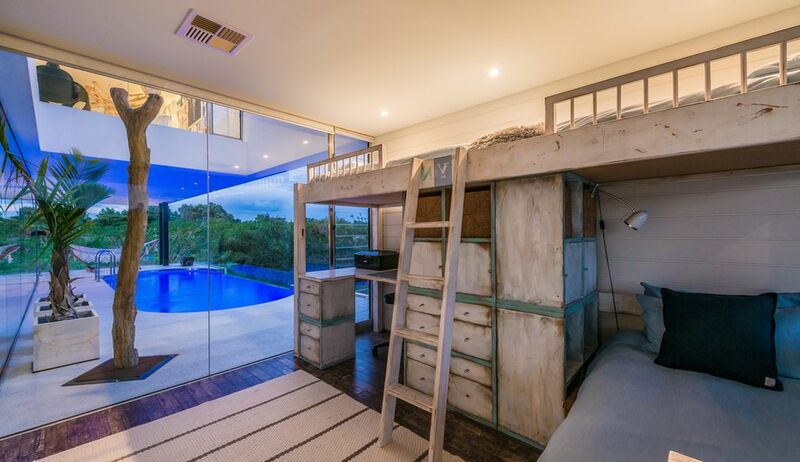 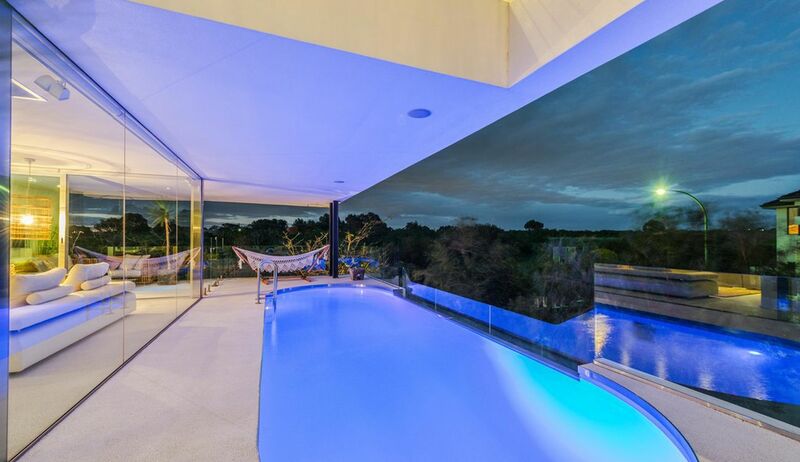 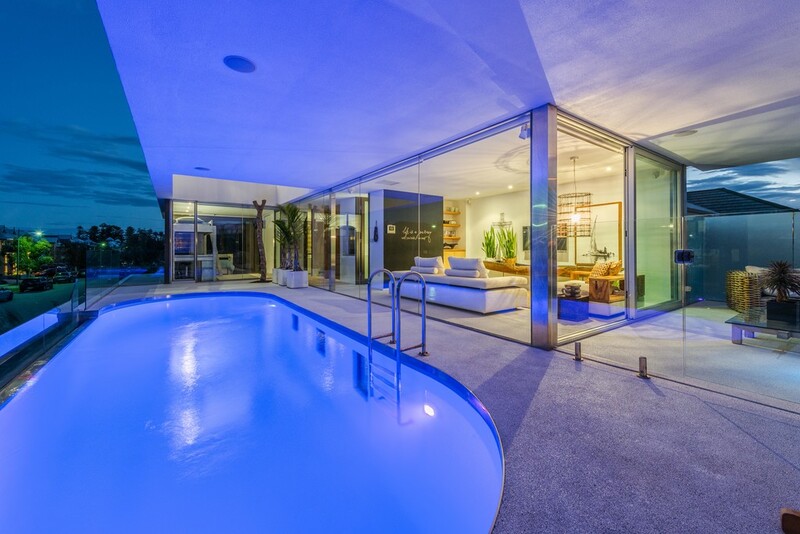 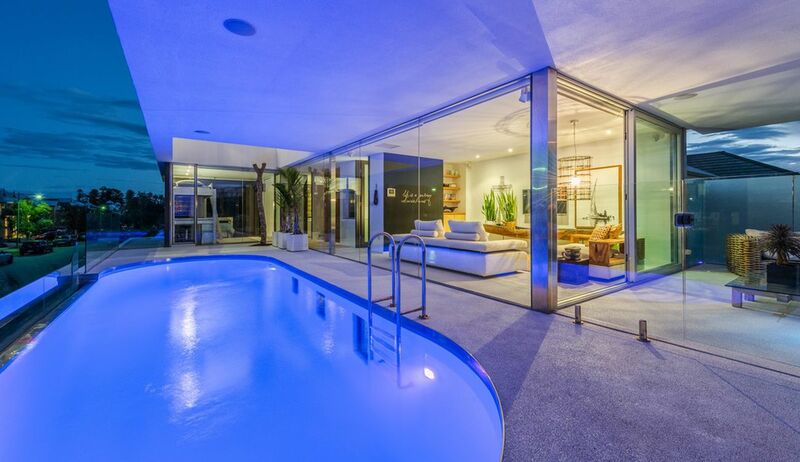 Access to the 80,000 litre solar heated Chemigem swimming pool is on the first floor & offers the unique experience of an elevated pool area with a northern aspect while retaining your privacy.